The impressive Mont Saint Michel abbey in France is a historic and architectural wonder that draws millions of visitors every year. 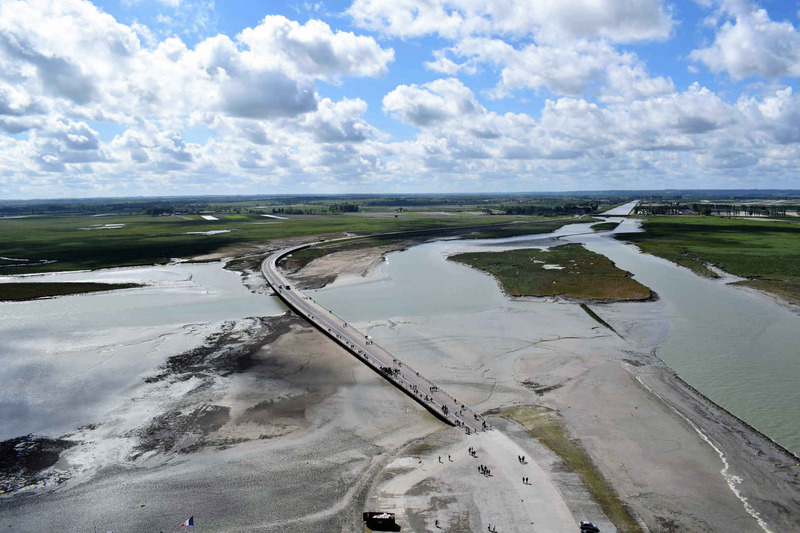 This year is a special time to visit, as the region will be celebrating the 75th anniversary of the D-Day Landings and the Battle of Normandy. 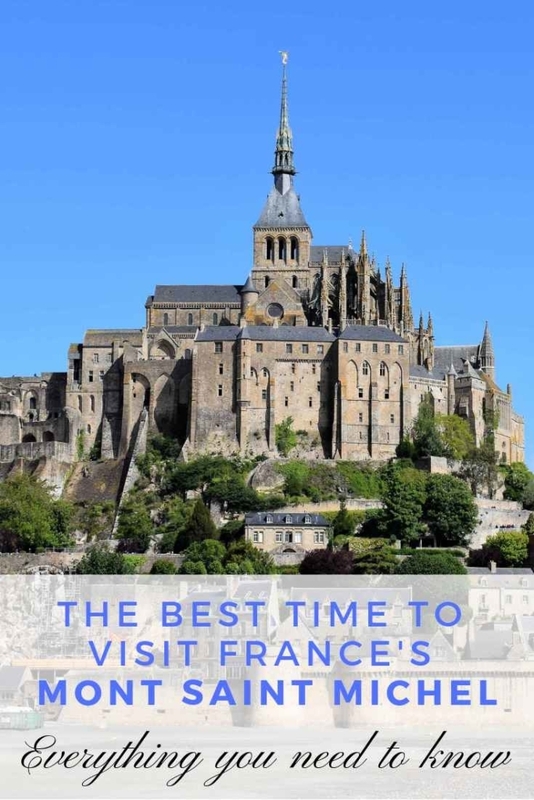 Here is the best time to visit Mont Saint Michel and everything you need to know before you arrive. Every year, over three million visitors are drawn to Mont Saint Michel and it has become one of France’s most recognisable landmarks. 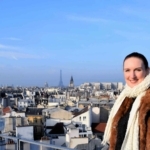 Only Paris’s Eiffel Tower and the nearby Palace of Versailles receive more tourists. Indeed, since 1979 the island has been a protected UNESCO World Heritage Site and its impressive architecture has inspired the makers of movies such as The Lord of the Rings: The Return of the King, Tangled and Snow White and the Huntsman. Located off the coast of Normandy, Mont Saint Michel is an island commune or municipality of France. It can reached in three hours by train from Paris or you can book an organised day trip from Paris by coach here. Covering 250 square acres, Mont Saint Michel has a circumference of a kilometre and rises over 90 metres above sea level. One of the top Mont Saint Michel fun facts is that it is surrounded by quicksand. Medieval pilgrims nicknamed the abbey St. Michael in Peril of the Sea, because of the difficulties in crossing the quicksand surrounding it when the tides are low. Visitors today are still advised not to walk across the sands, though some still try. Despite having a population of fewer than 50 people, Mont Saint Michel has its own mayor, Yann Galton. As the son of a previous mayor, Yann grew up on the island and won the mayoral election in 2014. Generally, March to October is the best time to visit Mont St Michel in terms of weather. However, as around 2.5 million people visit the site every year, there could be crowds. We went on a Monday in May and we didn’t have to queue, but weekends are busier. If you are planning to come in May, avoid the Mont Saint Michel Bay marathon, which this year takes place on 26 May and draws many local spectators. 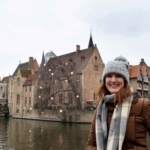 As mentioned, June 2019 marks the 75th anniversary of D-Day and the Normandy Landings and the region will be celebrating with a range of special events. June is a good time to come, as the weather is fine but it avoids the school holidays of July and August. 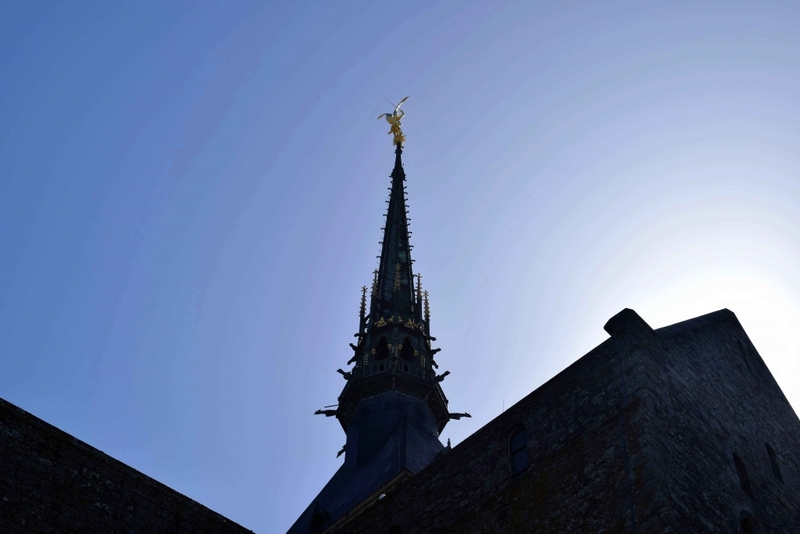 However, during these high season months you can buy tickets for special summer evenings when Mont Saint Michel is romantically lit and exceptionally open to visitors after hours. After the holidays in September is an ideal month to visit the island, as the weather is normally still good. 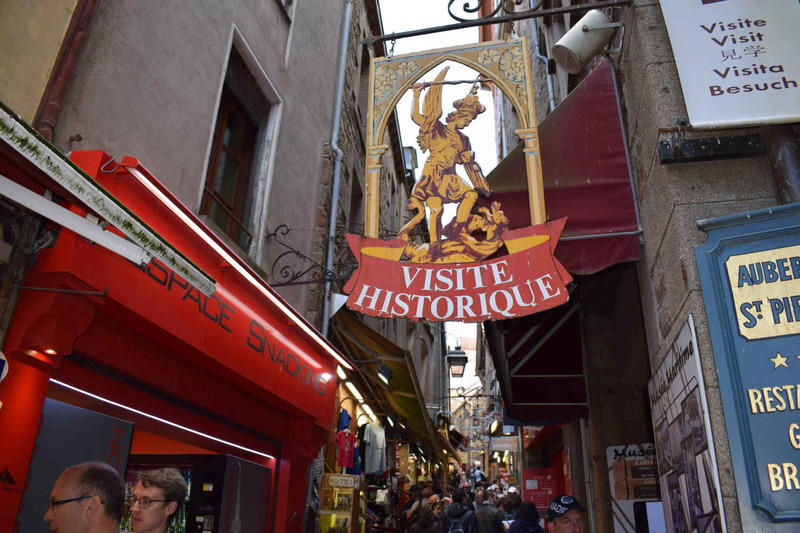 The best time of day to visit Mont St Michel is between 9am and 10am or 3pm to 4pm, otherwise you may face a long queue on the bridge before you’ve even got inside. Because Mont Saint Michel is so popular, it can get very busy with queues stretching along the bridge. Pro tip: Skip the line! Reserve your self-guided tour from only €10 per person, and avoid long queues, by booking your ticket to Mont Saint Michel here. As well as the abbey, there are around fifty shops and plenty of restaurants to enjoy on the island. There are even some hotels, though be prepared to bring your luggage either on foot or by shuttle from the car park, which is 2.5 km away on the mainland. Some people prefer to stay on the island itself, so you can wonder around this magical place after the tourists have left for the day. Click here to browse the accommodation options, including La Mère Poulard, which is famous for its omelettes. The hotel that is the best-rated by visitors is not actually on the island – it’s the Mercure Mont Saint Michel, located in parkland 2km away. If you’re coming by train, the nearest town with a train station is Pontorson. This is where we stayed. Here, you can find some more affordable options. 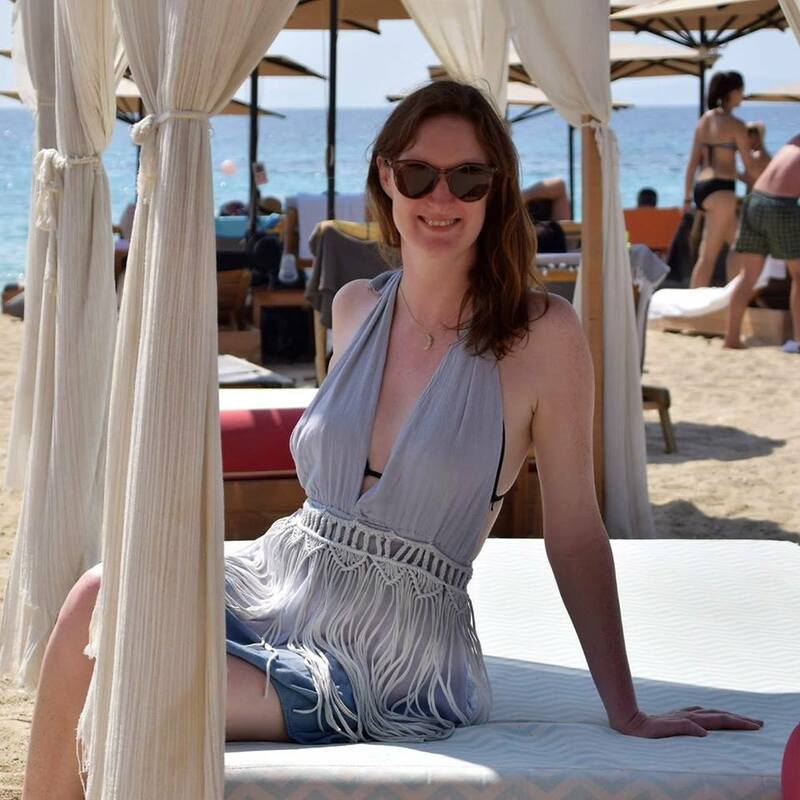 We stayed in a crêperie called Penn Ar Bed, where they rent a room via Airbnb (click here for a discount voucher if it’s your first time using Airbnb). It is a lovely double bedroom with a large sunny terrace, plus you can eat lots of yummy sweet and savoury crêpes! According to legend, in the year 708 AD, Saint Aubert, the bishop of the nearby commune of Avranches, dreamed that Saint Michael the Archangel instructed him to build an abbey on the small rocky island. It started off very modest and over the centuries became an imposing fortified building. It is dedicated to Archangel Michael, who appears as a golden statue at the top of its spire. In March 2016, a helicopter was used to temporarily remove the statue, in order to restore its lightning rod device, in what was a dramatic but successful operation. Mont Saint Michel has a strong connection with England. It is depicted in the Bayeux Tapestry, which France agreed to loan to the UK last year, for display in London’s British Museum. The famous artwork commemorates the 1066 Norman conquest of England. In the tapestry, King Harold II, the last Anglo-Saxon King of England, is portrayed during a battle with the Duke of Brittany, rescuing two Norman knights from the area’s quicksand. In recognition of Mont Saint Michel’s support of William the Conqueror’s claim to the English throne in 1067, the abbey was rewarded with properties and grounds in England. These include a small island off the coast of Cornwall, on which a castle was modelled after Mont Saint Michel and given the same name, translated into English: St Michael’s Mount. 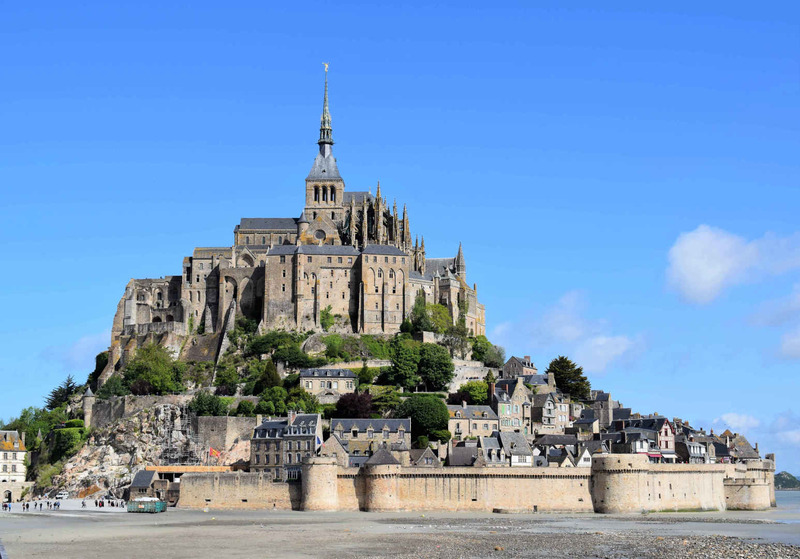 Centuries later, during the Hundred Years’ War in the 15th century, the Kingdom of England made repeated assaults on Mont Saint Michel but were unable to seize it due to the abbey’s fortifications. This turned Mont Saint-Michel into a symbol of France’s resolute resistance against England. Noting Mont Saint Michel’s natural defences and isolation, Louis XI of France converted it into a prison. By the time of the French Revolution, this island prison held up to 300 priests who opposed the new French Republic. 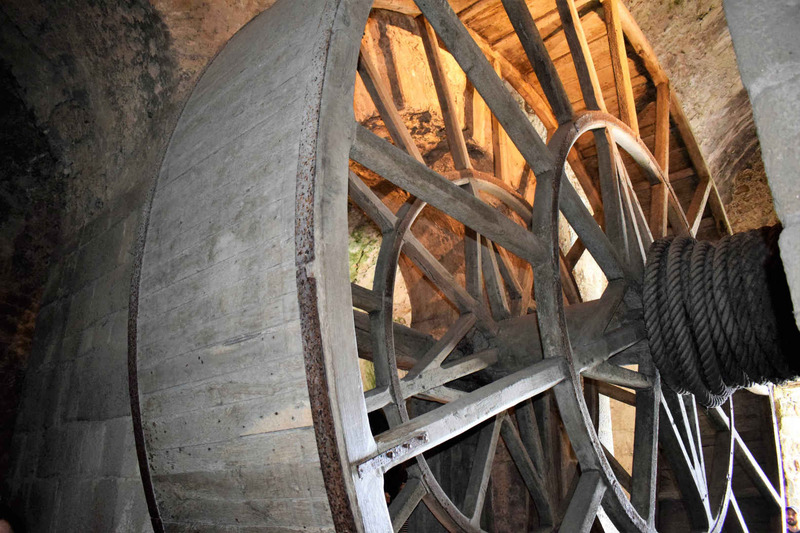 Inside, you can still see the large treadwheel crane, that prisoners would rotate by walking inside it, to hoist supplies and other heavy objects up the prison walls. 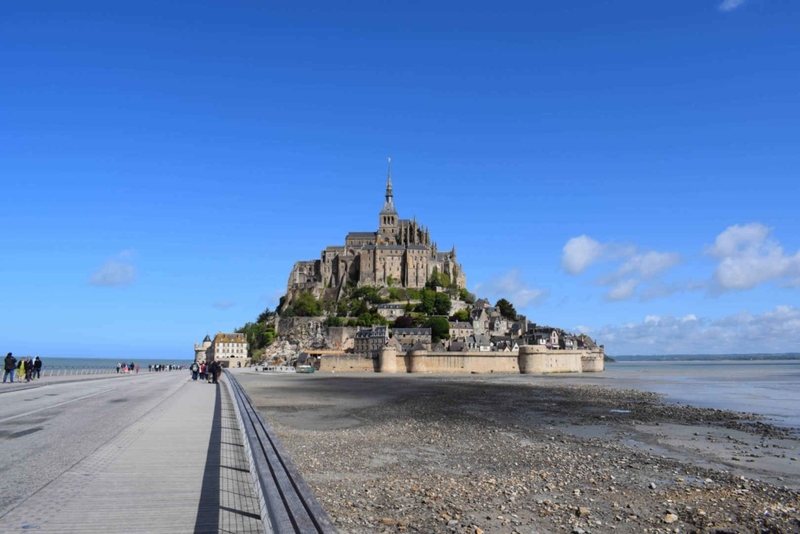 Forty years later, influential figures including the famous French writer Victor Hugo – who penned Les Miserables and The Hunchback of Notre-Dame – launched a campaign to recognise Mont Saint Michel as a national architectural treasure and restore it to its original purpose. In 1863, Napoleon III closed the prison and ordered the 650 prisoners to be transferred to other facilities. In 1874, it was officially declared a historic monument. 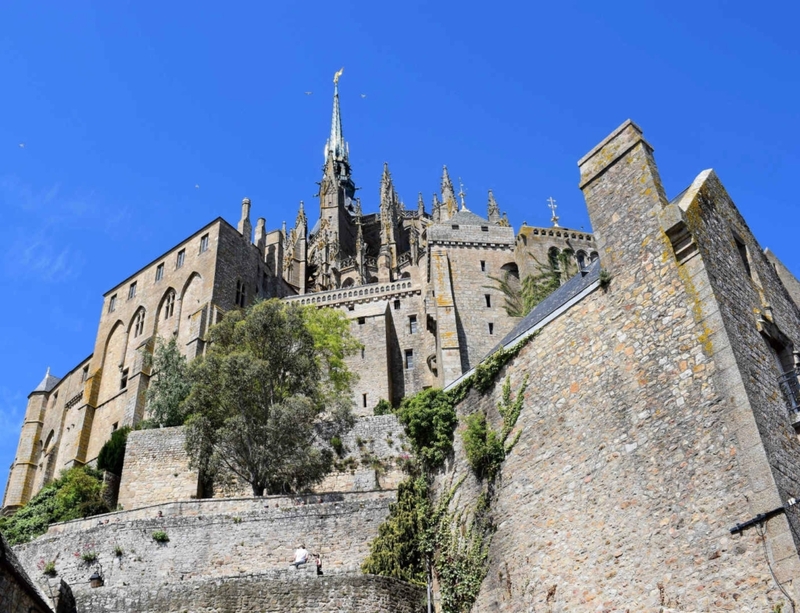 More Mont Saint Michel facts can be found on its Facebook page. Guided tours of the abbey are conducted in English all year round by the Centre des Monuments Nationaux (CMN), who kindly hosted our visit. Please note, this post may contain affiliate links. When you make a booking through one of these links, I receive a small commission at no extra cost to you. 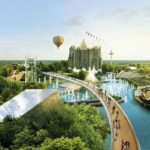 Now check out the facts you probably didn’t know about the awesome French theme park, Futuroscope. I love that it is surrounded by quicksand. I did not know that. So cool.